North Korea has accused senior U.S. officials of trying to enhance international sanctions against Pyongyang, warning that these moves will block progress of the North's denuclearization. A North Korean Foreign Ministry spokesperson said in a statement on Thursday that some senior officials in the Trump administration are obsessed with strengthening sanctions against Pyongyang, going against President Donald Trump's will. The statement said that North Korea has taken practical steps toward denuclearization, but the U.S. is seeking to increase sanctions using fake data regarding the North's nuclear weapons as an excuse. It also said that Washington is blocking international organizations' support and cooperation with the North in the sports area, and even asking other countries not to send delegations to a planned event marking the 70th anniversary of the North's foundation. 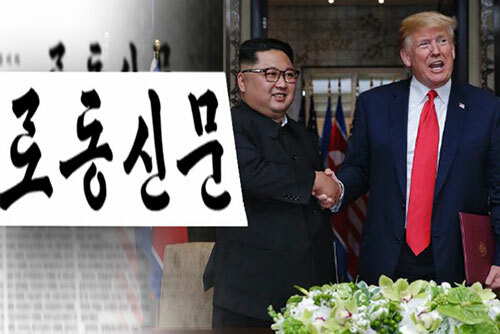 The North warned that due to these moves, there is no guarantee that the hard-won atmosphere of stability on the Korean Peninsula will continue.